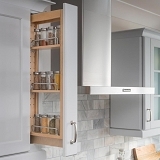 Custom made pull out spice rack made for 5-6 inch wide openings in base or upper kitchen cabinets. 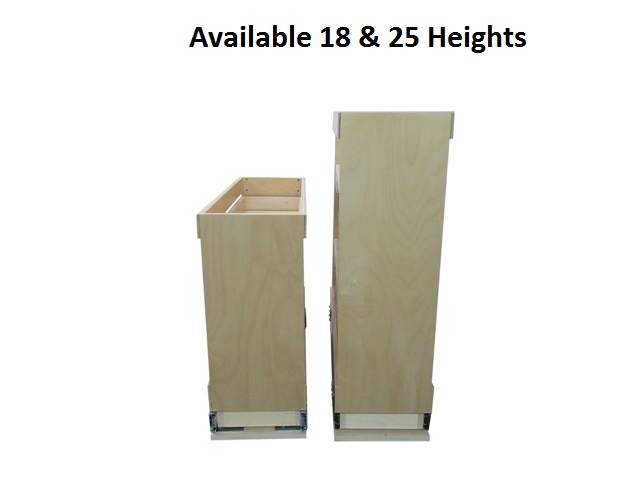 Read the install instructions for frameless cabinets prior to purchasing. Side mount not as easy as one would like. Also, clearance allowed was not enough. My husband and I ended up dismantling the unit, trimming it down, & reinstalling base slides (easiest mounting). 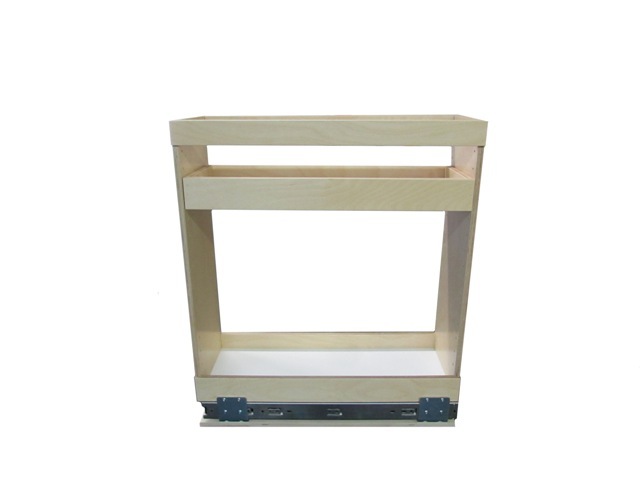 Comparing to Rev-A-Shelf we have in another cabinet, this product is not nearly as study. Fully extending slides are not comparable. Best about this product: Custom depth available & short lead time. Con: Customer service is not particularly customer friendly & instructions (or at least directions to same on website) should be noted in packaging. Excellent workmanship....quick delivery. Very happy with product. 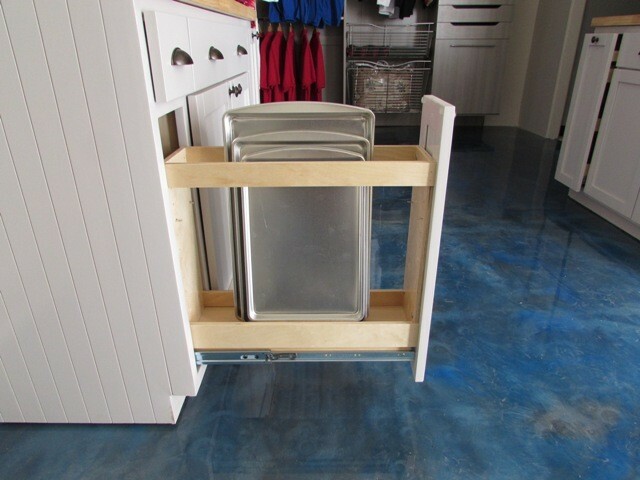 It was a great relief to find these spice racks as our cabinet maker didn't know how to make them! I do hope that they will prove sturdy (they seem to have a bit of a wobble) and I do wish that they were a little easier to pull out (I guess the pulling will keep my muscles strong over the years).